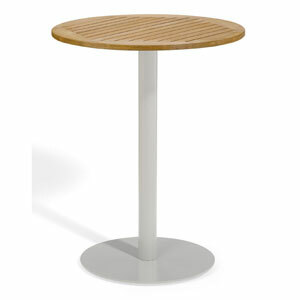 Travira 24-Inch Natural Tekwood Bar Table. 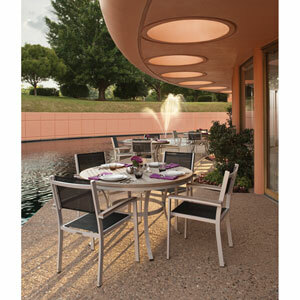 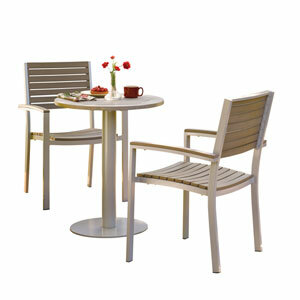 Oxford Garden outdoor furniture is known for its extraordinary craftsmanship, graceful design and lasting beauty. 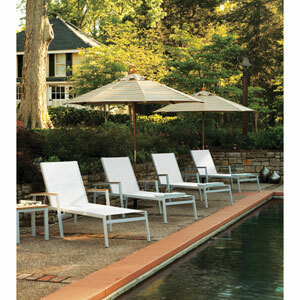 Oxford Garden collections are designed to provide comfort and style for everyone's moments lived outdoors. 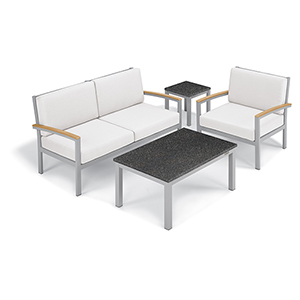 Travira is a lightweight, mixed material collection that combines classic styling with a contemporary look. 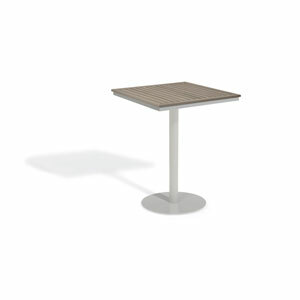 The Travira 24" Bar Table extends the Travira collection to bar height. 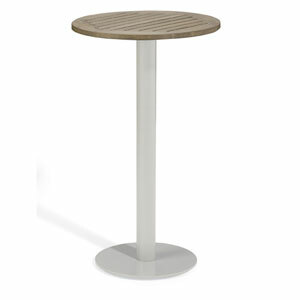 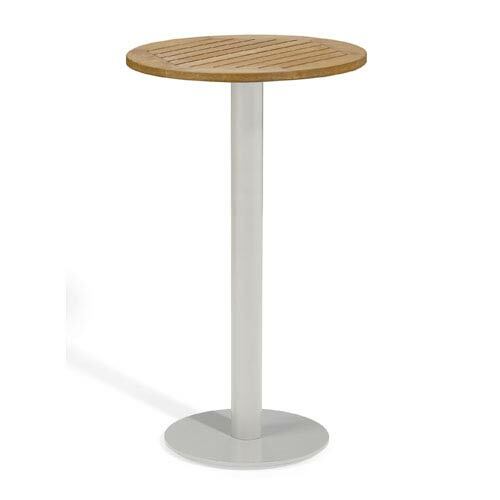 Travira Bar Tables feature a classic , yet modern round top and base, creating a statement in any environment. 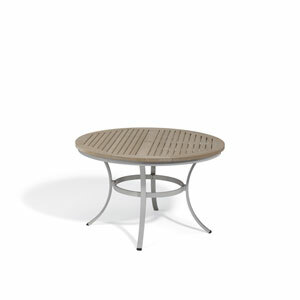 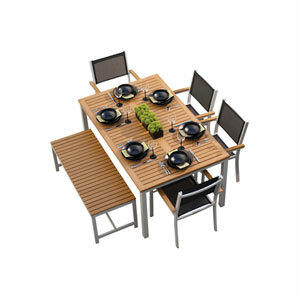 The natural tekwood table top complements the bold gray of the powder-coated aluminum frame. 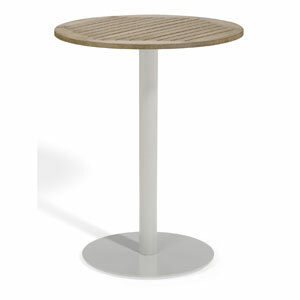 Table top made from Tekwood, a wood-alternative developed from polystyrene. 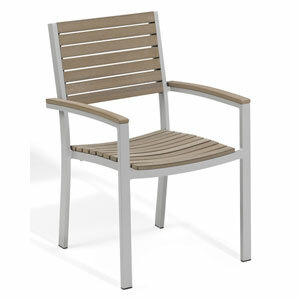 Tekwood provides the look of wood without the weathering process or maintenance. 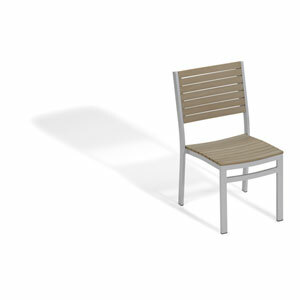 Frame crafted from lightweight, rust-proof powder coated steel in gray. 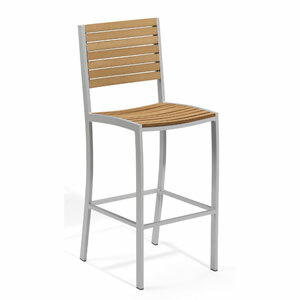 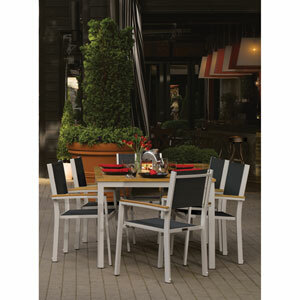 Tekwood in natural finish and aluminum provide classic styling with contemporary look. 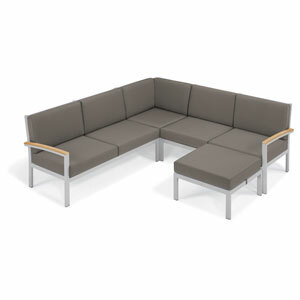 Dimensions: 24"W x 24"D x 41"H; weighs 48 pounds.